North Sails announced that Šime Fantela will be joining the Grand Prix segment, putting to use his experience across a range of classes. Šime will work closely with Grand Prix Segment Leader Paul Westlake, helping the design and product development teams to quantify their ongoing innovations. After winning gold in the 470 class at the 2016 Olympics, Šime has his sights firmly set on a second Olympic gold medal in Tokyo 2020 – this time in the 49er. He’s also sailing as strategist in the 52 Super Series on the newly launched Bronenosec. North Sails Global Head of Sales John Welch commented: ‘We are really delighted that Šime has agreed to join North Sails. Not only is he a great sailor with a wealth of experience, but he is a huge asset to our pro sailor network, working across sail development and testing. We firmly believe that we need the best people out on the water pushing our sails to the limits and it is only in doing this we are able to give our customers what they want – the best product for whatever type of sailing they are doing. Through the addition of Šime to our team, we continue to learn from the best of the best to deliver the highest performing products’. Paul Westlake added: ‘With such depth of experience and raw talent, Šime can help us develop our understanding of sailing campaigns and Grand Prix boats even further. He is an exciting, talented sailor and is quickly turning into an important opinion leader who can help us engage and inspire the younger generation of pro sailors. We believe that the North Sails team and technology can enhance his challenge for Gold in Tokyo and in turn we can learn so much from him, competing at the highest level of the sport. In order to continue to innovate we need to be challenging ourselves to think differently, and through working with Šime we see a great opportunity to do that’. 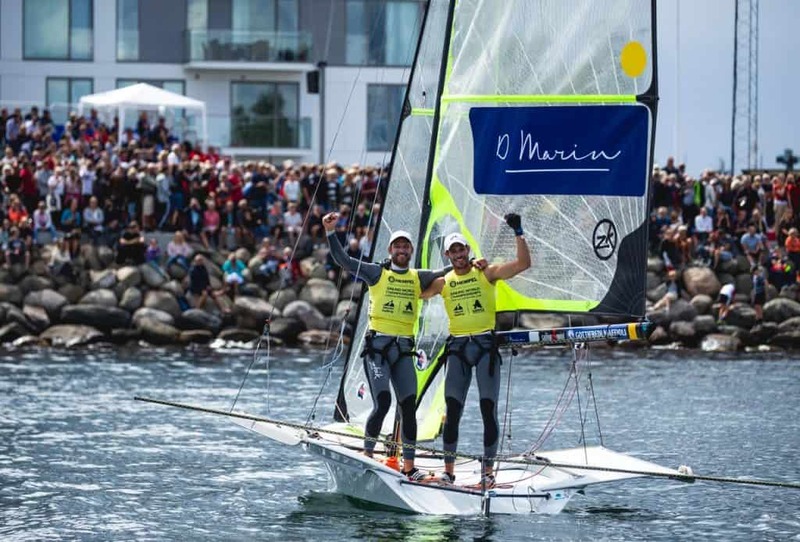 Šime commented: ‘I was delighted to have been asked to work with North Sails alongside my Olympic campaign. I really believe that I need to surround myself with the best possible people and to work in the best possible environment in order to become not only a good sailor, but also the most technically skilled sailor I can be. I have always been interested in the technical side of sailing and I really enjoyed making sails for myself in my campaign for Rio 2016 – I know how important it is to know everything you can about the sails you use in order to get the most out of them’.